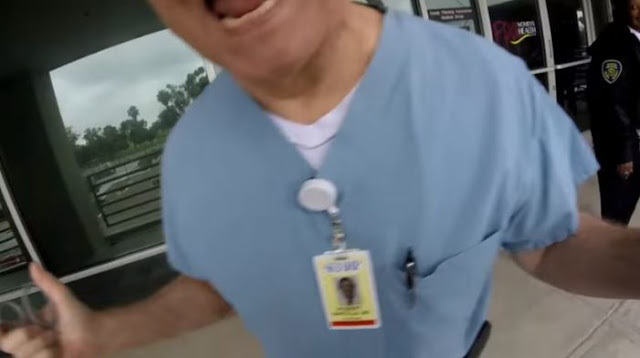 A longtime San Diego physician says he will surrender his medical license and stop seeing patients after the Medical Board of California accused him of gross negligence in patient care, and unprofessional conduct during an altercation outside a local abortion clinic. The Medical Board detailed those allegations in a 25-page accusation filed July 17 against Dr. Robert Santella. In the accusation, the Medical Board also claims Santella over-prescribed narcotics to six patients and botched an abortion on another patient. The Board cites Santella's "aggressive" and "outrageous" behavior outside the Family Planning Associates abortion clinic on Miramar Road in June 2016 as a cause for revoking his license. That confrontation was videotaped by two abortion protesters, including Zephaniah Mel, who went face-to-face with Santella outside the clinic entrance. The video shows Santella approaching Mel with a pair of surgical scissors in his right hand.